© Kazuhiro Nogi—AFP/Getty Images A Japan Airlines (JAL) passenger jet takes off from Tokyo's Haneda airport in Tokyo on July 31, 2018. 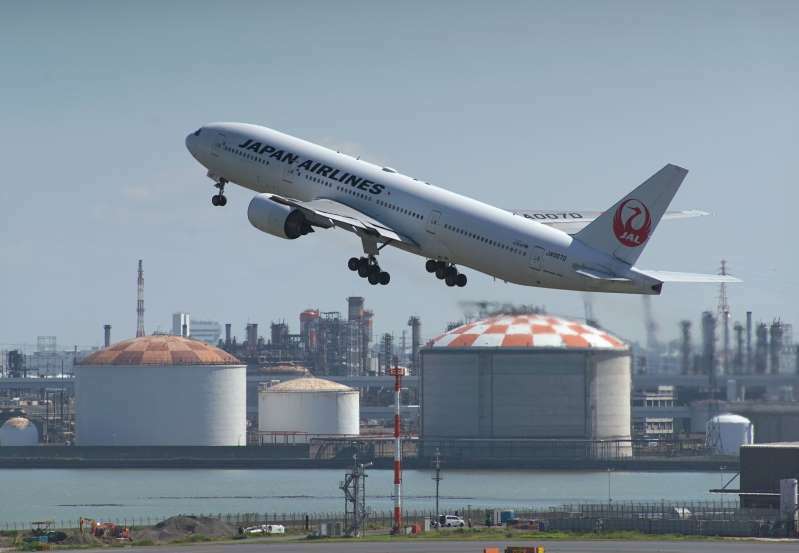 A Japan Airlines copilot was arrested in London earlier this week after he was found to nearly ten times over the legal alcohol limit shortly before takeoff. The tipsy copilot, identified as Katsutoshi Jitsukawa, was arrested Sunday at London’s Heathrow Airport after a test administered just 50 minutes before takeoff revealed the level of alcohol in his system, the BBC reports. He was detected by the sensitive nose of a crew bus driver, who smelled alcohol and reported him to police, according to Japanese broadcaster NHK. A test later revealed that Jitsukawa had 189mg of alcohol per 100ml of blood, nearly 10 times the U.K.’s legal limit of 20 mg for pilots, according to the BBC. He had been scheduled to serve on a flight to Tokyo, which took off just over an hour late. Jitsukawa was not aboard. Jitsukawa, 42, attributed the elevated alcohol levels to a bout of serious drinking the previous night in his hotel bar and room, according to NHK. He appeared in court in London on Thursday and pleaded guilty to exceeding the alcohol limit, according to the BBC. He is expected to remain in custody until his sentencing on Nov. 29. The airline issued an apology, promising “immediate actions to prevent any future occurrence.” It also announced it would roll out a more sophisticated breathalyzer system to monitor its pilots’ alcohol overseas later this month, according to NHK. The new system, which is already in place for Japanese domestic flights, will send test results back to Japan in real time. Japan’s Transport Ministry also responded to the incident, promising to institute a national standard for pilot blood-alcohol levels. Previously, the country had allowed airlines to set individual thresholds. In a separate case last week, Japanese domestic airline All Nippon Airways was forced to apologize after five flights were delayed by a hungover pilot, the Associated Press reports.